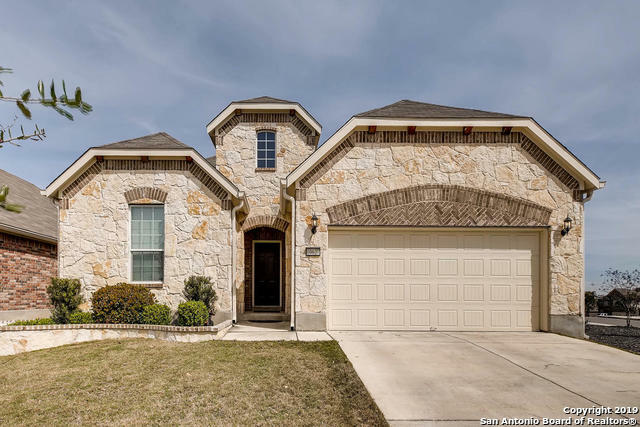 All LANTANA OAKS homes currently listed for sale in San Antonio as of 04/22/2019 are shown below. You can change the search criteria at any time by pressing the 'Change Search' button below. "PRICE REDUCED ON THIS GREAT HOME - Outstanding Four Bedroom Three Bedroom Home On Greenbelt Lot with Too Many Upgrades To List! Master Down w Luxurious Bath - Second Bedroom Down - Water Softener and Filter System - Double oven (Gas) - Gas Range Top - In-wall surround speakers on media/play room - Planning Center -Security cameras w/DVR and mobile-view application - Ring (Door camera/ intercom)- Green Belt Lot - Flood Lights for backyard - NEST thermostats - Call Today For More Information/Priv"
"NO CITY TAXES! Absolutely Stunning 4 Bed (2nd Bed & Bath Down, could be a study), 3 Bath home W/Large Game Rm, Oversized 2 car garage, Cov'd Patio on quite greenbelt! Huge Gourmet Kitchen W/Island, Granite & Stainless Steel Appliances! Fantastic Master Suite W/Bay Window & Lux Bath, Huge walk-in Shower, Soothing Garden Tub & Granite Vanities. Relaxing Stone Fireplace in Large Living Rm. Professional Landscaping W/Full Auto Sprinkler Sys, Water Softener. Near Excellent Shopping, Only 1.5 Miles to"
"VACANT----SUPER,VERSATILE FLOOR PLAN---A MUST SEE!!! Enjoy the FAMILY ROOM with Fireplace, Kitchen with GAS Stove,Breakfast Bar plus a super See thru Entertainment Bar. The back staircase leads to the upstairs Gameroom, bedrooms & baths. WOW this home has all of the pluses!!! . To be SOLD as is. This property may qualify for Seller Financing (Vendee)." 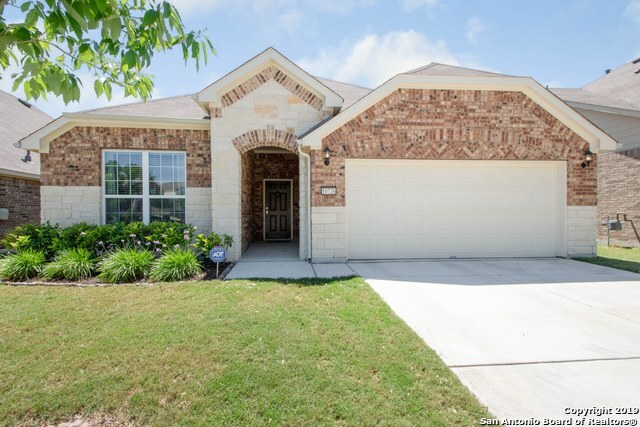 "Immaculate home offering a neutral color scheme awaiting your personal touches. Open concept design makes entertaining a breeze. Ceramic tile in main traffic areas down, built-in study space, granite counters, wrought iron spindles & recess lighting. Lives like a one story. Game up with/bedroom & full bath. All other living down. Inviting kitchen w/gas stove, s.s. appliances,plus pantry for extra storage. Split master suite w/walk-in shower. Private study too. Covered patio and private backya"
"This home is the best combination of a contemporary interior and a traditional exterior. This single-story, gently lived in, Pulte home is move in ready and features wood floors, rock gas fireplace, neutral colors, granite countertops, office/desk area, stainless steel double ovens and gas cooktop. The open floor plan is perfect for entertaining and you can enjoy your afternoons on the covered patio that overlooks the tree shaded yard."